Price is per 16-inch strand of about 34 of these beautiful nuggets. 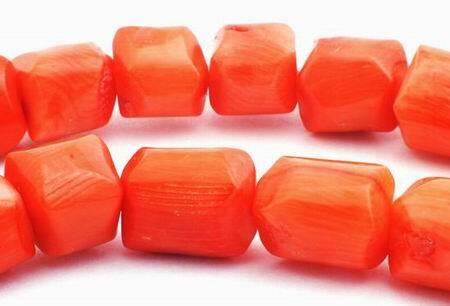 Largest in the strand measures about 12mm x 11mm x 10mm, although each will be slightty differett shape & size. As with all red coral today, these are dyed, but the color doesn't come off!